The first couple minutes of the show were promising. Demian seemed like an interesting character I would have liked to know more about. But instead of any exposition, we got 10 minutes of mediocre fight scenes between him and the frustratingly naive Team Justice. (Ironic name that). The show ends without answering any questions or delving any deeper into the characters. Might have worked as a full series, but as it is I can't recommend this. Impact doesn't last after the show is over. Mecha Combine to form the unbeatable Nostalgia! It's a frustrating little short because I wanted more when if ended. The art style, sound, music and herp Justice team especially put me right back into the living room as a young kid. The misunderstood protagonist with the dark part. The colour coordinated Heros. The evil general puppet master lurking in the shadows. It hooked me and then ended! So it goes. A flash in the pan but one I may re-visit. “There was a terrorist that piloted a weapon of mass destruction. The entire world feared him even though he lived in isolation. The nations of the world united and sent their armies to defeat him. It’s a story every man, woman, and child knows. Yet no one cares to know about his life of sorrow. Or his struggle against injustice.” So begins the 2009 South Korean short film, Demian, and given such a beginning, the viewer expects the story that unfolds over the following 18 minutes to delve deep into the sorrowful background and pitiable psychology of the eponymous character, Demian, and offer up an examination of moral relativism. But it doesn’t. Instead, what the viewer gets is about 18 minutes of violent battles involving guns, bombs, and mecha soldiers, with just the barest hint of story and background—but not enough to immerse the viewer in the world or give reason to care about any of the characters. 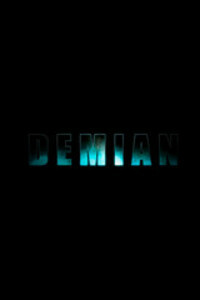 Who is Demian, really? What does his life of sorrow entail? Against what injustices does he struggle? These are questions that the beginning of the film poses and then fails to consider again, choosing to focus, rather, on the action of the seemingly pointless battle between Demian in his sleek mecha armor and the five members of Special Force Justice, who pilot their own humanoid robotic suits, which, like the lions that make up Voltron or the Power Rangers’ Zords, unify to create a larger super-mecha (the transformation of which takes up an entire minute of this film). Only in brief clips of dialogue or flashback do we get any inkling of who Demian is or why he fights—but this inkling can hardly be called a storyline. The promise of a deep and meaningful look at the causes of war and terrorism and the allusion to moral relativism had me interested at the outset, but by the halfway mark, I could tell that Demian’s plot was going nowhere, and by the end of the short film, I was left feeling extremely disappointed. I wish it had been developed into a longer film or even a series, with enough time to examine all the issues it sets up. As it stands though, except as a study in modern Korean animation technique, I can’t really recommend this film. As mentioned, a story is set up within the first couple minutes and then isn’t really touched upon again. It’s only enough to give a basic understanding that the characters of the film aren’t really one-dimensional—but throughout the remainder of the film, none of that extra dimension is developed or portrayed. I couldn’t find myself caring about any of the characters in this film. Demian himself just wasn’t sympathetic; there was no reason to root for him as the underdog. The Justice Team weren’t at all interesting, and nothing would have been lost in this film if the mecha they controlled had been autonomous A.I. robots. Steel, the military officer in charge of the team was a stereotypical baddie whose sole goal was to see Demian destroyed, with no reason offered. The art and animation in Demian are fairly run-of-the-mill. The CGI was good, but it didn’t always mesh well with the traditional animation, which wasn’t of the highest quality. I don’t really have an opinion either way on the sound quality, dubbing, music, etc. It wasn’t lousy and it wasn’t great. It didn’t add to or detract from any other parts of the film. I’ve seen worse, but not much. The lack of follow-through with the setup really disappointed me. Viewers who love drawn-out battle sequences might enjoy this a bit more, but to be honest even the battle isn’t all that exciting; there’s nothing to set it apart from any other mediocre anime battle, except maybe its length. With its focus on violent battle, Demian is definitely one for an older crowd. Language/Thematic Elements: War and terrorism are the major themes of this film—not exactly meant for a younger audience, though the language is kept mild. Violence/Gore: Violence abounds. Guns, bombs, tanks, jets, mecha—this film has it all. It’s mostly mechanized, dehumanized violence, though, for better or worse. There is one flashback where Demian is seen bleeding profusely after apparently having been shot, and the final scene shows the aftermath of the battle, with wounded soldiers being carried away from the field. i really dont get it. i feel like im watching ep 11 from a one season anime. if it had like 10 more episodes before and one after it maby it would be a decent anime. i don't know what they were thinking. but without more episodes to back this up it leaves every lost.